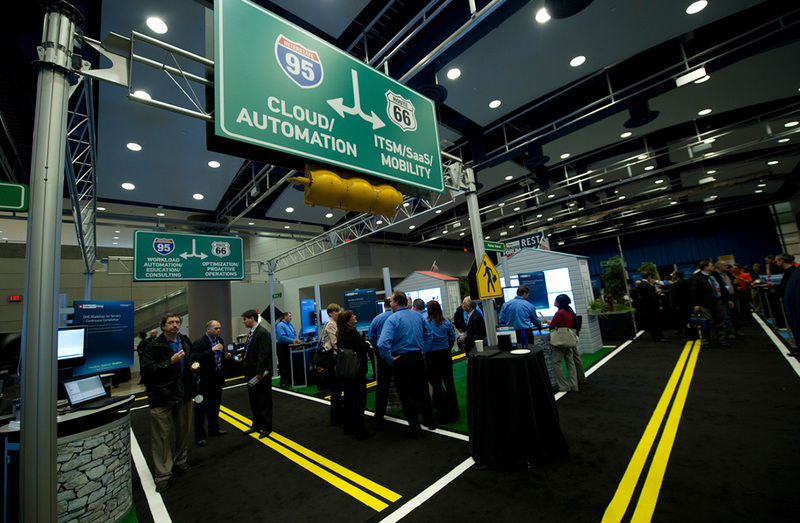 As the recognized leader in Business Service Management (BSM), BMC Software is passionate about their business, their clients, their Partners and their events. 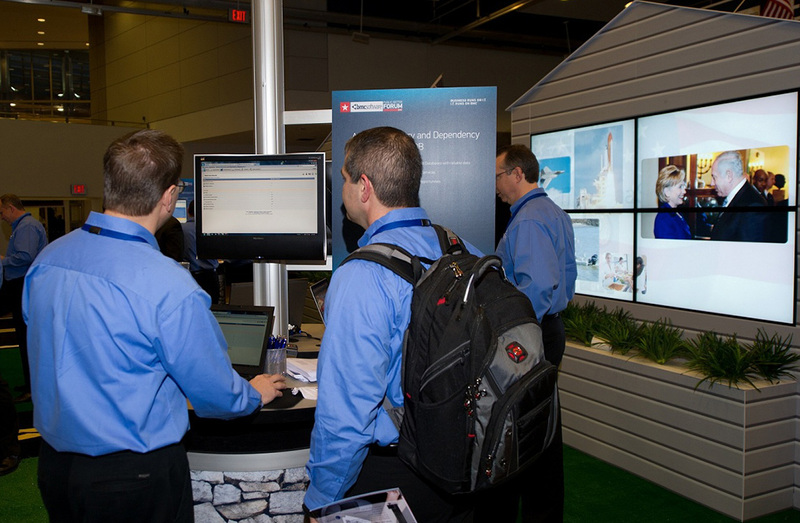 When planning their third annual Public Sector Forum, BMC looked to 2020 Exhibits to help them find creative, engaging and innovative solutions to maximize all available space and encourage attendees to spend more time in the Expo Hall. 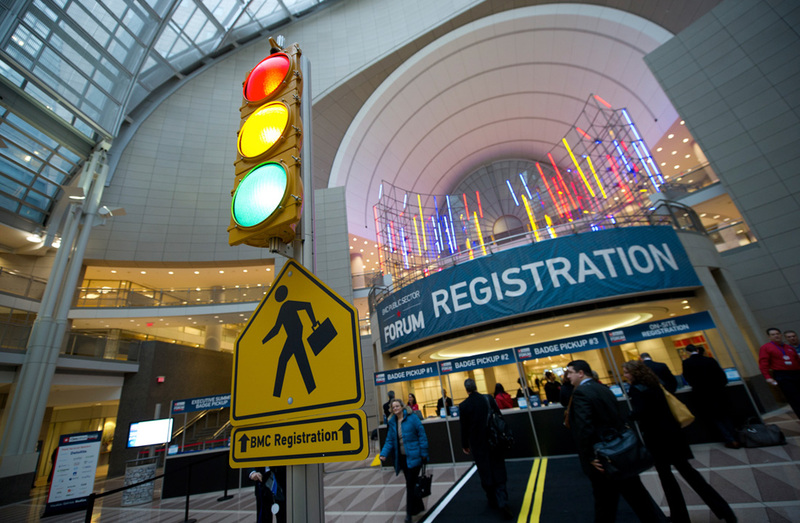 Early sight visits to Washington and some collaborative brainstorming with BMC’s Global Events Team put the creative wheels in motion for the 2020 Exhibits Design & Events Team to hit the gas, full speed ahead, transforming a non-descript event venue into a dynamic, energized environment. 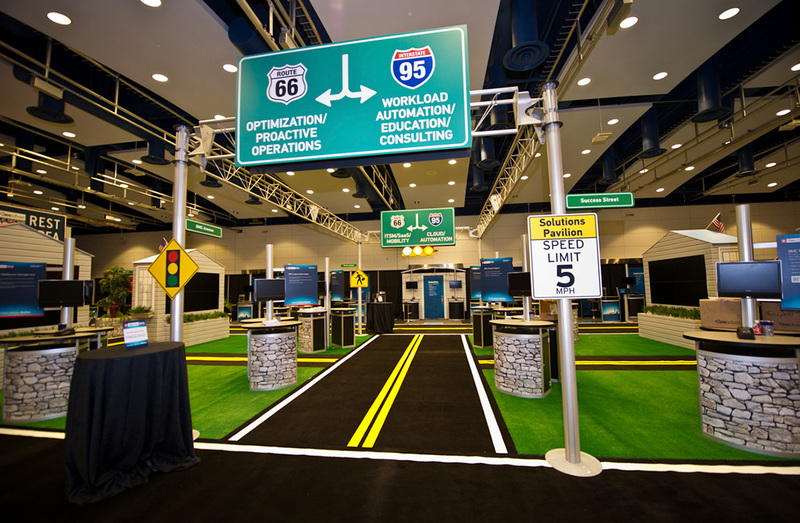 Inspired by the event theme, The Road to Transformation, 2020 Exhibits delivered a fully-themed neighborhood environment for this private corporate event which drew in 1,000 attendees. Bringing a neighborhood feel and flavor to the “Road to Transformation,” true-to-size bright flashing stop lights, sky high highway signs, bold street signs, charming houses with window boxes and doors, realistic toasters and bright blue branded old-fashioned mailboxes – red flag up! 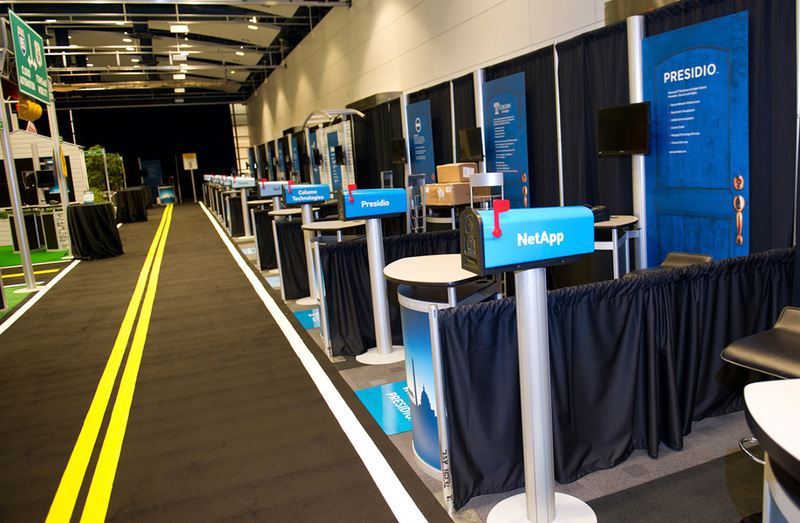 – were just a few of the creative and captivating design elements found at BMC Software’s Public Sector Forum. 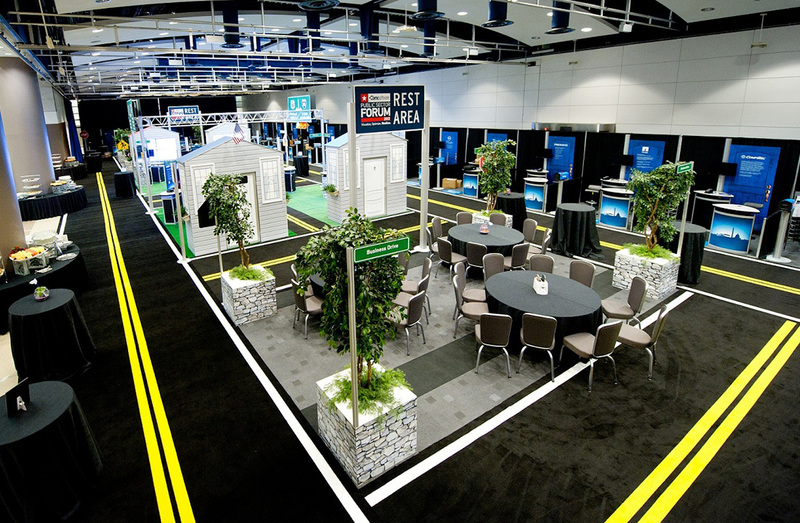 2020 Exhibits designed and managed the project from start to finish – including the design of four individual house-themed anchor exhibits for BMC’s Public Sector Divisions along with more than 20 individual Partner exhibits for their Expo. 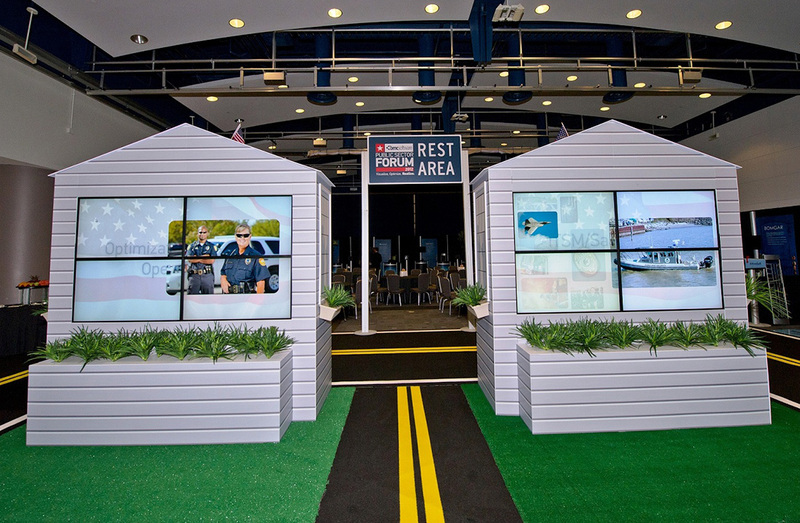 2020 Exhibits also developed a patriotic, first responder-themed video highlighting each Public Sector Division.